Come help Southern Appalachian Highlands Conservancy (SAHC) close out the 6th annual Baa-tany Goat Project with a bang on September 11th. Volunteers will meet at Carvers Gap at 8:30 AM to receive herding instructions and participate in a safety meeting in preparation for the annual herding of the goats off of Roan Mountain. The group will then hike towards the goats at Engine Gap, and will lead the goats back to Carvers Gap where they will be taken off the mountain for the winter season. This can be a challenging task since volunteers will have to keep up with the goats while gaining significant elevation. Volunteers are asked to bring a light lunch, drinking water, rain gear, warm clothing (if needed), good hiking shoes, sunscreen, and a camera. Well behaved/friendly dogs are allowed but it will be difficult to heard goats and watch your dog at the same time. This is considered to be a moderately strenuous hike, and is FREE for everyone. Photo above by Brenda J. Wiley. Some of the best vantage points in the Smokies to watch the migrations are at the higher elevations of the park, such as Newfound Gap, Clingmans Dome, Look Rock, or Indian Gap. 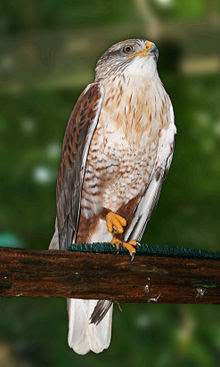 Hawk enthusiasts also have the option of attending the "Flock to the Rock" event at Chimney Rock State Park in North Carolina. Already in its 5th year, Flock to the Rock is billed as the region’s premier fall migration birding event. The weekend of September 21st and 22nd includes bird walks guided by local experts, family nature walks, as well as workshops ranging from bird photography to hummingbirds. For more information, please click here. Great Smoky Mountains National Park officials announced the temporary closure of Springhouse Branch Trail to all horse use due to unsafe trail conditions. Park trail crews will complete needed repairs by early October. Heavy rainfall this year resulted in the development of a wet weather spring which recently washed away the trail surface along a section of Springhouse Gap Trail exposing slick bedrock. Due to the steep terrain and unstable surface, the area is no longer safe for stock travel. The trail is passable for foot traffic, but hikers should exercise extreme caution. Park crews will repair the trail by building an elevated structure made of natural materials including locust posts and crushed stone that will allow for proper drainage. The improvements will create a durable surface for horse travel. Crews will begin work in early September and expect to be completed by early October. The trail is located in just north of Bryson City, between the Forney Creek and Noland Creek Trails. For more information about trail closures, please call the Backcountry Information Office at 865-436-1297. Great Smoky Mountain National Park Artist in Residence, Dominique Ferraton, will be offering a guided sound walk on Wednesday, August 28 from 2 p.m. to 3 p.m.along a section of the Fighting Creek Nature Trail. Ferraton will discuss how sounds affect people and how humans are changing the sonic landscape everywhere. The walk is open to all ages, and participants will discover how the simple act of listening can deepen our experience in the environment. Sound walk participants will meet in front of Sugarlands Visitor Center at 2 p.m., rain or shine. This is a unique opportunity to explore the park through its rich soundtrack. The Park Artist-in-Residence (AiR) provides select artists with the chance to live in and create their art within Great Smoky Mountains National Park for 4-6 weeks. The program is made possible due to support from Friends of the Smokies and in collaboration with Arrowmont School of Arts & Crafts. The artists create works of art and share experiences that promote an understanding of the need to preserve and care for the park. As the artist experiences the park and pursues their body of work, they also have the opportunity to engage and inspire the public through outreach programs. For more information on the AiR program or to RSVP for the sound walk, please contact the park's Volunteer Coordinator at 865-436-1265. The Blue Ridge Parkway re-opened a closed section of the historic motor road today (August 26, 2013), from Milepost 376 at Ox Creek Road in Asheville, NC to Milepost 355 at Mt. Mitchell State Park using temporary bypass lanes. The speed limit in this section of the roadway has been reduced to 15 mph to ensure public safety while traveling through the bypass area. To better navigate the bypass alignment, motorists are urged to reduce speed as they approach this area. The reduced speed limit will be strictly enforced. The Craggy Gardens Visitor Center and Picnic Area, located at Milepost 364, was also reopened on Monday. Parkway management apologizes for any inconvenience to our visitors and cautions the public to be aware of changing weather and road conditions at all times. As always, the public is encouraged to use the park’s website to access road information and plan their visit. How Rainy has it really been in the Smokies this year? So how much rain has the Smokies received this year? It seems like an awful lot, or is it just our collective imagination? To answer that question I compiled some data to compare this year against the long term averages. The graph below shows monthly precipitation amounts for Mt. LeConte in 2013. Monthly precipitation amounts for January through July were taken from the Weather Warehouse. August data was derived from the NOAA National Weather Service page. Both sources, I assume, receive their data from the observation station at the Mt. LeConte Lodge. 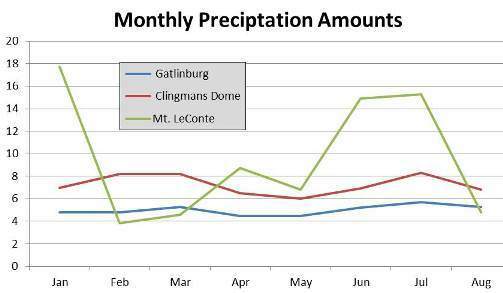 I then compared this data with the long-term monthly averages for Gatlinburg and Clingmans Dome, as reported on the Great Smoky Mountains website. Please note that the data for Mt. LeConte really isn't comparable against the Gatlinburg figures (due to differences in elevation), but certainly is against the Clingmans Dome data. So are the Smoky Mountains really having substantially more rain this year as compared to the past. The answer is absolutely! Although the late winter months were more drier than normal, the rest of the year has been much wetter - especially during the months of January, June and July. Although August has been a little drier than normal, there have been 17 days (so far) where Mt. LeConte has received at least some precipitation. On average, Clingmans Dome normally has only 12 days of rain during the month of August. Keep in mind, however, that the August data for Mt. LeConte reflects only the first 25 days of the month, whereas the Clingmans Dome figures reflect the entire month - so we still have a few more days to possibly add to the current totals. In total, Clingmans Dome normally receives 58 inches of precipitation during the first 8 months of the year. To date, Mt. LeConte has already received 76.7 inches! Tennessee State Parks, through a partnership with the ParksByNature Network, have announced a new GeoChallenge for the Pocket Ranger®, the free iPhone and Android application for park visitors on the move. With the Tennessee State Parks Passport Challenge, park visitors can earn points at each destination they visit. Easy-to-reach parks are worth five points, while more out-of-the-way locations can be worth up to 20 points. The first person to visit all of the 54 Tennessee State Parks will win a grand prize, a $100 gift card to an outdoor retailer. The runner-up will receive a $50 gift card and the first 10 players to visit 10 individual state parks will receive Pocket Ranger® gear. All prizes are supplied by the ParksByNature Network. In addition, the Passport Challenge offers Tennessee State Parks visitors the opportunity to keep tabs on fellow competitors while earning points along the way. Participants can view their status, along with the status of fellow park visitors, in the climb of the Passport Challenge’s leaderboard. The cooler than average August gives an early reminder of just how close fall is. The weather report shows lows in the mid 70s during the day, and dropping into the low 50s at night. As well as being a reminder of the rapidly approaching autumn weather, park visitors should take heed that the typical August packing list may leave you shivering in the evenings and early mornings. Aside from being simply uncomfortable, the cooler weather can prove to be hazardous to those that are unprepared. Temperatures in the 50s and 60s can easily lead to hypothermia, particularly if wet weather clothing isn’t suitable, or ample dry clothing isn’t available. The key to a safe and comfortable trip into the Great Smoky Mountain National Park is found in understanding that weather conditions change rapidly and vary greatly throughout the course of the day. Appropriate attire will provide more than just a fashionable outdoor look. Dressing in layers, having suitable wet weather gear available, and choosing clothing made from suitable materials choice ensures both comfort and safety. By dressing in this way instead of simply wearing a T-shirt and a jacket you can more thoroughly regulate your body temperature. Most clothing loses 70% or more of its insulating ability when it becomes wet. 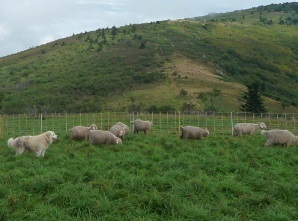 Wool is a natural fiber that maintains its insulating ability even when wet. It doesn’t matter if that is a result of perspiration or because of a passing rainstorm. If your clothing becomes wet during a late afternoon hike it will not have time to dry before the much cooler evening air settles. Using a base layer that whisks water away from your body will allow it to evaporate and dry much faster. When choosing wet weather gear there is a strong preference towards improved fabrics such as Gore-Tex which allows you to stay dry while still providing adequate ventilation to prevent overheating. Adding a pair of waterproof boots and a hat will keep you ready for both cold mornings and nights, as well as long trail hikes. U.S. Forest Service officials at the Cherokee National Forest have announced that national forest lands within the corridor between the area known as Oliver Hollow north to Wilbur Dam are temporaily closed to public entry except for through hikers on the Appalachian Trail. The closure is being implemented because of black bear activity in the area. National forest lands within the corridor are temporarily closed to public entry by land and water access. The Watauga Lake Shelter on the Appalachian Trail is also closed to camping, but the trail is open to through hikers. Oliver Hollow is located on Watauga Lake in Carter County on Oliver Hollow Rd off Highway 321 near Hampton, TN. Wilbur Dam (TVA) is located on the Watauga River off Wilbur Dam Rd and Bishop Hollow Rd in Carter County near Elizabethton, TN. The corridor is within the Cherokee National Forest’s Watauga Ranger District. 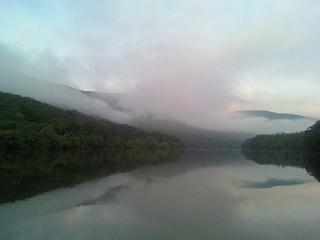 Oliver Hollow is a popular dispersed camping and day use area on the western end of Watauga Lake. Bears have recently been frequenting the corridor and Oliver Hollow. The U.S. Forest Service is working with the Tennessee Wildlife Resources Agency to address the concern. Forest Service officials say that in all outdoor recreation settings, you should always store your food and trash so it does not attract bears and other animals. Food should be properly stored in a vehicle, or hung from a bear pole or tree when in the back country. 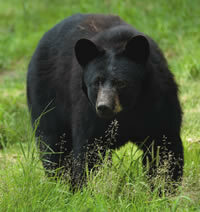 Trash should be placed in bear-resistant trash cans where available or packed out when you leave. Do not discard watermelons or any other food scraps in picnic areas, shooting ranges or any other recreation site. Doing so can lead to temporary closure of the site if safety becomes a concern due to bear activity. Your cooperation with this and similar temporary closures may help break the cycle of bears returning to the same sites in search of human food, protecting you and the bears. Planning an escape to cooler temperatures and fall colors on a day-hike? Join the REI staff in Asheville next month to learn about the basics of hiking. 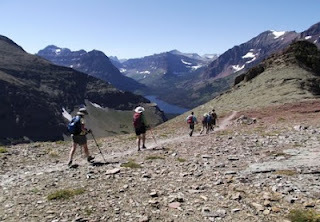 In this class REI experts will share tips and tricks on all aspects of hiking. Learn about trip planning, essential items, equipment, safety precautions, along with local resources and places to go. The seminar will be held on Wednesday, September 11th, from 6:30 - 8:00 PM EDT. For more information on the free event, please click here. Great Smoky Mountain visitors planning to hike up to Alum Cave or Mt. LeConte, may want to note that the upper Alum Cave parking lot will be closed from August 26th through September 13th. The park will be paving the lot and adding spaces. The lower lot, near the bathroom, will still be open during this time period. You may also want to note that the six-mile section of Newfound Gap Road from the Chimneys Picnic Area up towards Alum Cave will be paved this summer. Through September 30th motorists may encounter single-lane closures at night. Traffic will be directed through the construction zone by flaggers. From August 16th through September 30th motorists may also encounter single-lane closures during the day. For the latest updated information on park closures, please click here. Looking for a unique outdoor adventure? How about moonlight kayaking trip through the Tennessee River Gorge? On Thursday, September 19th, join Outdoor Chattanooga for a special float trip through the heart of the Tennessee River Gorge by moonlight. On this special trip participants should expect quiet water, cool breezes, and a special glimpse into the Cumberland Plateau's majesty. Although the water is flat, some kayaking or canoeing experience is recommended. Outdoor Chattanooga will provide all the equipment and the guides. Cost is $35 per person (adults only) for the three-hour event. Reservations are required, and can be made by emailing Outdoor Chattanooga at: info@outdoorchattanooga.com or calling (423) 643-6888. A vacation retreat in the Great Smoky Mountains is a real convenience for hikers and other outdoor sports enthusiasts. Having a "home base" near plenty of hiking trails, forests, streams and lakes means exciting outdoor adventures can be followed by a home-cooked meal, a fire in the fireplace and a comfortable bed. North Carolina's mountains offer an almost endless variety of activities. Major trailheads in western North Carolina include national treasures such as: Pisgah National Forest, Nantahala National Forest, the Carl Sandburg Home National Historic Site and the Blue Ridge Parkway. Many state parks also feature hiking trails, including Hanging Rock, Chimney Rock, Pilot Mountain and Grandfather Mountain. From these trailheads a hiker can choose trails of varying length and difficulty. Most trailheads include places to picnic, shop for provisions, or get maps and information. Parks offer other amenities such as camping and fishing. The Carl Sandburg site, for example, has a house to tour, goats to pet and a full calendar of cultural events. For a change of pace, avid hikers might choose to spend a day whitewater rafting or enjoying a zip line tour at the Nantahala Outdoor Center. The French Broad River is a popular rafting venue near Asheville. Mountain biking is especially enjoyable during the fall, when autumn leaves are at their peak of color. 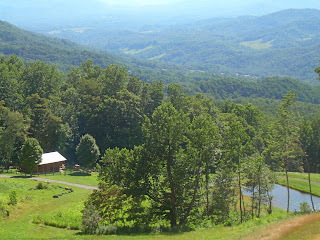 Deal's Gap and the Blue Ridge Parkway are favorite rides for motorcyclists. Golfing is yet another outdoor sport enjoyed by many North Carolinians. Fishing is a popular pursuit in the Smoky Mountains and surrounding areas as well. The Davidson River, Pigeon River, French Broad River, Newberry Creek and Lake Powhatan are just some of the great fishing sites in western North Carolina. Those who own homes in the area have opportunities to find the best fishing holes and learn from the other locals. Hiking and fishing make a great vacation combination. For rainy days, the vacationer can go to the nearby cities for music, museums, shopping or fine dining. Asheville, Hendersonville, Cherokee and Waynesville all offer unique options for indoor and outdoor activities alike. Building a vacation home on North Carolina mountain property can lead to years of memorable vacations. A mountain home can even become a permanent home. Consider the advantages of an active outdoor lifestyle near the Great Smoky Mountains. Friends of Great Smoky Mountains National Park raised $201,423 last night through its 19th annual “Friends Across the Mountains” telethon thanks to hundreds of callers and help from sponsors Dollywood, Mast General Store, Pilot Corporation, and SmartBank. Since 1995 Friends of the Smokies telethons have raised more than $2.9 million. “We extend our sincere thanks to each person that pledged support during the annual telethon. Your stewardship allows us to better meet the growing challenges in caring for park resources and providing opportunities for visitors and we thank you,” said Dale Ditmanson, Superintendent of Great Smoky Mountains National Park (GSMNP). During the broadcast, Sugarland Cellars owner Don Collier presented a $20,000 check to the organization. Since the spring of 2012 the Gatlinburg winery has offered five limited edition varietals with custom labels created by renowned artist Robert A. Tino. Each release is paired with Tino’s matching artistic tiles featuring each label’s artwork. Every bottle generates a $5 donation to help Friends of the Smokies in its mission to preserve and protect GSMNP. “The generous response to this year’s Friends Across the Mountains Telethon is a continuing testimony to the love that people have for the Smokies and how very important it is to our region,” said Friends of the Smokies President Jim Hart. Telethon donations can still be made online to help fund more than $1 Million of Park needs this year, including to help protect black bears, heal hemlock trees, and preserve historic log cabins and churches from Cades Cove to Cataloochee Valley. Tennessee Gov. Bill Haslam and Environment and Conservation Commissioner Bob Martineau announced yesterday that they have awarded $1,694,000 in Recreational Trails Program grants to recipients across Tennessee. The Recreational Trails Program is a federally-funded program established to distribute funding for diverse recreation trail projects. The funds are available to federal, state and local government agencies, as well as non-profit organizations that have obtained IRS 501 (c) (3) status and have a written trail management agreement with the agency that owns the property where the trail project is located. Funding for RTP grants is provided by the Federal Highway Administration through the federal Safe, Accountable, Flexible and Efficient Transportation Equity Act. The Tennessee Department of Environment and Conservation administers this grant program for the state. The maximum federal share for each project is 80%, with RTP grant recipients providing a 20% match. Grant recipients were selected through a scoring process with careful consideration given to the projects that met the selection criteria and expressed the greatest local recreation need. To see a list of the trail projects that will be receiving grants, please click here. To learn more about the RTP grant program and other recreation or conservation-based grant programs available in the future, please click here. Tonight the Friends of the Smokies will be hosting the 19th Annual Friends Across the Mountains Telethon to benefit Great Smoky Mountains National Park. The event has a long history as the only telethon for a national park, and has raised over $2.5 million dollars. This year’s broadcast will take place from 7:00 p.m. to 8:00 p.m. on Thursday, August 15, on WLOS-TV Channel 13 in Asheville and WBIR-TV Channel 10 in Knoxville. The 19th Annual telethon is generously sponsored by Dollywood, Mast General Store, and Pilot Flying J, and SmartBank with enthusiastic volunteer support from First Tennessee Bank and Home Federal Bank. Viewers of the Telethon will see many of the GSMNP needs which Friends of the Smokies is funding this year, more than $1.1 million to support education, conservation, recreation, and historic preservation in 2013. Current projects include continued rehabilitation of the Chimney Tops Trail by the Trails Forever crew, ongoing suppression of the hemlock woolly adelgid, and funding for Parks as Classrooms environmental education programs for more than 18,000 students. * Or, they can call Friends of the Smokies and ask for a donation form to be mailed to them (Waynesville NC Office, 828-452-0720; Sevierville TN Office, 865-932-4794 or 800-845-5665). Great Smoky Mountains National Park officials have announced upcoming roadwork plans on the Gatlinburg Bypass involving overnight closures and single lane daytime closures beginning in mid-August. Charles Blalock and Sons was awarded the contract to mill and resurface the Gatlinburg Bypass roadway and parking areas beginning August 19, 2013 through September 27, 2013. 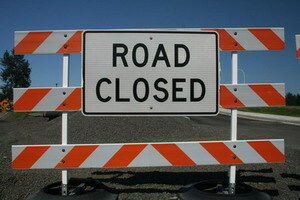 The Bypass will be closed to all traffic nightly from 8:00 p.m. to 7:00 a.m. Sunday night through Friday morning. Motorists should also expect daytime single lane closures Monday through Thursday. No work will occur during October, weekends, or holiday periods. From November 2013 through May 2014, motorists should expect daytime single lane closures while crews complete additional improvements along the bypass including reconditioning roadway shoulders and the replacement of damaged guardrails and bridge expansion joints. The Gatlinburg Bypass is a well-traveled road which received an interim surface treatment in 2011 that temporarily extended the life of the pavement surface. The upcoming full resurfacing treatment is expected to last 15-20 years. Park officials also remind motorists about the ongoing rehabilitation work Newfound Gap Road. Beginning on August 15, motorists should expect daytime single lane closures through Spring 2014 on 6.1 miles of the roadway from Chimney’s Picnic Area south towards Newfound Gap. No work of any kind will be permitted on federal holidays or during the month of October. Park officials expect the next and final phase of this multi-year project from Chimney’s Picnic Area to the park boundary at Gatlinburg to begin in November 2014 and be completed by November 2016. For more information about road closures, please call the Park’s Road and Weather Information Line at 865-436-1200. What crosses 60 mountain passes, 19 canyons, 7 national parks, 3 national monuments, 24 national forests and 33 federal wilderness areas? If you answered the Pacific Crest Trail, you would be correct. Ever since reading Skywalker and Dances with Marmots over the last year, my interest in the 2663-mile Pacific Crest Trail has been piqued. In fact, the section of the PCT that follows along with the John Muir Trail is something I would absolutely love to tackle someday. Then, last week, I received an email from Shaun Carrigan asking if I would be interested in reviewing a new film that he's produced about the trail. Well, naturally, I jumped on the opportunity. 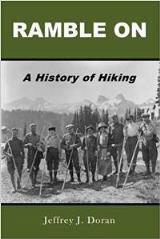 Tell it on the Mountain - Tales from the Pacific Crest Trail follows several thru-hikers as they attempt to hike the first national scenic trail (designated at the same time as the Appalachian Trail in 1968). This included veteran PCT hiker Scott Williamson who happened to be attempting a yo-yo - that is, hiking from Mexico to Canada, and then back to Mexico - in the same season! The two books I read did a great job of documenting what the authors experienced and what it takes to hike the trail from a personal perspective. However, the film provides multiple viewpoints, as well as the opportunity to actually see many of the places described in those books. When I first watched the trailer (below), I was a little concerned that the film might fall into the reality TV trap. Fortunately the film-makers didn't stoop to this tired format. In addition to providing an insider's view into what it takes to spend a half-year living in the wild, Tell it on the Mountain provides a much better understanding of the substantial planning and logistics it takes to tackle a major adventure, such as a thru-hike. The DVD also provides a few video extras, including an extended interview with Donna Saufley, the trail host at "Hiker Heaven" in Agua Dulce, California. My only complaint, albeit only minor, is that the film didn't spend enough time exploring the magnificent beauty of the trail, especially as it passes through the High Sierra, Yosemite and the other national parks along the way. All in all, however, I really enjoyed watching the film. If you've ever considered thru-hiking the Pacific Crest Trail or any other long distance trail, or if you're just looking for a fun "couch" adventure, I highly recommend this film. 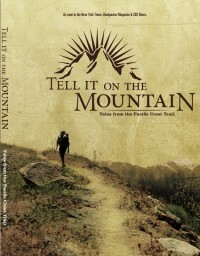 You can purchase the DVD (or digital download) on Tellitonthemountain.com or through Amazon. Great Smoky Mountains National Park Superintendent Dale Ditmanson announced that Patricia M. Wissinger has been selected as the next Deputy Superintendent. She replaces Kevin Fitzgerald, who retired earlier this year. Wissinger is currently the superintendent of Chattahoochee River National Recreation Area in Atlanta, one of the busiest recreation areas in the United States. She is scheduled to report to her new assignment in mid-September. Wissinger is a career National Park Service (NPS) employee who began her career in 1980 as a seasonal campground ranger on the Blue Ridge Parkway and moved up through the Park Service ranks. In addition to Chattahoochee River, she has served in management positions at the Blue Ridge Parkway, Shenandoah National Park, Cape Hatteras National Seashore, Wright Brothers National Memorial, and Fort Raleigh National Historic Site. She has served in extended acting assignments as Superintendent at Vicksburg National Military Park and Deputy Superintendent at Shenandoah National Park. She also served twice in the NPS Southeast Regional Office – once as the Region’s Chief of Partnerships for over 63 parks and once as manager for the National Heritage Area Program, including twelve areas dispersed throughout the southeastern states and the Caribbean. Wissinger has extensive experience in building partnerships, major museum design and construction, land acquisition planning, viewshed management, road and bridge construction projects, exhibit design, educational outreach, general management planning and managing large national park visitor services. She was recognized with numerous awards including Southeast Region Superintendent's Award for Science and Resource Management Excellence and, under her leadership, Chattahoochee River NRA was recognized for Excellence in Interpretation and Education. A native of North Carolina, Wissinger received both a Bachelor of Science and a Masters of Public Administration Degree from Western Carolina University. She spent many years in Asheville, NC where she volunteered extensively for the Buncombe County School system, and served on the Boards of the Appalachian Consortium, the Haw Creek Neighborhood Association and the East Asheville Recreation Association. She and her husband Gordon both have a connection to the Great Smokies; he served as the Cades Cove District Ranger for five years in the 1980’s. He currently serves as a Deputy Regional Director for the NPS Southeast Region and will retire soon to join his wife in a place he “can’t wait to return to.” Patty and Gordon have five grown children between them, three of whom reside in western North Carolina, one in Colorado, and one working in Glacier National Park in Montana. Participation in outdoor recreation reached a six-year high in 2012 with 142 million Americans, ages six and older, enjoying the outdoors. That is an increase of about 800,000 outdoor participants since 2011 and equates to a participation rate of 49.4 percent. The findings are part of The Outdoor Foundation's 2013 Outdoor Recreation Participation Report, the leading report tracking American participation trends in outdoor recreation with a focus on youth and diversity. The Outdoor Foundation's seventh annual Outdoor Recreation Participation Report helps the outdoor industry, public agencies and community organizations better understand the trends in outdoor recreation participation, enabling groups to address America's inactivity crisis and the disconnect between children and the outdoors. The report is based on an online survey of more than 40,000 Americans ages six and older and covers 114 different outdoor activities, making it the largest survey of its kind. The study, which provides an in-depth look at youth, shows mixed results about outdoor participation among America's youngest generations. While youth and young adult participation remained steady since 2011, adolescent participation dropped. The low participation rate can be attributed to a six-percent loss in participation among adolescent girls. On the other hand, adolescent boys' participation continued to rise, adding three-percentage points since 2010. - While 13 million Americans started participating in outdoor activities in 2012, 12 million stopped. This is a net gain of one million total outdoor participants and a churn rate of 6.8 percent. - The number of total outdoor outings increased, reaching an all-time high. Americans took 12.4 billion outdoor excursions in 2012, up from 11.5 billion excursions in 2011. - Adventure racing grew the most over the past five years. The sport increased participation by 211 percent. - Stand up paddling had the highest number of new participants in the past year. More than half of stand up paddling participants tried the sport for the first time in 2012. - Almost one-quarter of all outdoor enthusiasts participate in outdoor activities at least twice per week. - Running, including jogging and trail running, is the most popular activity among Americans when measured by number of participants and by number of total annual outings. - Youth who do not participate in outdoor activities say they are not interested in the outdoors. For young adults, lack of time is a bigger barrier than lack of interest. - Introducing outdoor recreation and physical activities early in life has a lasting effect. Among adults who are current outdoor participants, 75 percent had physical education and 42 percent enjoyed outdoor activities in elementary school. - As seen in previous reports, outdoor participation is highest among Caucasians and lowest among African Americans. - Although Hispanic Americans have one of the lowest outdoor participation rates, those who do participate go outside as often as Caucasians, who have the highest participation rate. To download a complete copy of the 2013 Outdoor Recreation Participation Report, visit The Outdoor Foundation website. 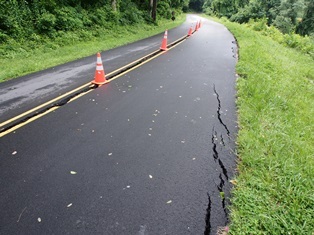 Great Smoky Mountains National Park officials will close sections of Greenbrier Road to vehicle and pedestrian traffic for road repairs from Wednesday, August 14 through Friday, August 23. * Beginning Wednesday, August 14 through Sunday, August 18, the road will be closed just past the intersection with the road to Ramsey Cascades Trailhead. This will impact access to the Porters Creek Trail and the Brushy Mountain Trail. 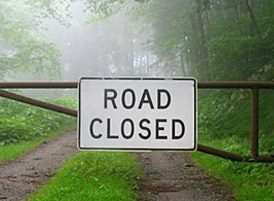 * Beginning Monday, August 19, the road will be closed at the Greenbrier Ranger Station through the duration of the project ending on Friday, August 23.In addition to the two trails mentioned above, the Ramsey Cascades Trail and the Grapeyard Ridge Trail will be impacted during this phase of the repair work. The roadway suffered significant damage following a flood event last winter when the road was completely washed out exposing underlying rock and damaging culverts. Park crews made temporary repairs this winter and will now complete the long-term solution by installing a bottomless box culvert, three circular culverts, re-grading the roadway, and adding new gravel. The bottomless box culvert design increases water handling capacity, provides unimpeded water flow, and aids fish passage. “Greenbrier Road provides access to several popular hiking trails, backcountry campsites, picnic areas, and scenic river views. We regret the inconvenience of the closure, but believe that these repairs will help prevent flooding of the road in the future,” said Park Facility Management Chief Alan Sumeriski. Heavy equipment will be utilized during the repair work including gravel trucks, graders, and excavators. In order to safely and efficiently accomplish the needed work, the affected road sections will be closed to pedestrians as well as vehicle and bicycle traffic throughout the duration of the project. In addition, the Greenbrier picnic area and picnic pavilion will be closed throughout the closure along with backcountry campsite #31. Access to backcountry campsite #32 will be from Roaring Fork Road and access to campsite #33 will be from Maddron Bald Trail. For more information about closures, please call the Road and Weather Information Line at 865-436-1200. On Sunday, August 25th, the National Park Service turns 97 years old. To help celebrate, admission to all national parks will be free so that everyone can join in the festivities taking place from coast-to-coast. You could also plan a day of hiking at your favorite park, such as in Great Smoky Mountains, Glacier National Park, or Rocky Mountain National Park. In partnership with the National Park Foundation, the official charity of America’s national parks, the NPS has created an online hub to help you plan your own personal National Park Service birthday trip at www.npsbirthday.org. Join the NPS to share birthday wishes or stories, pictures, or video from your latest or favorite national park adventure. If you can’t make it to a park for the big day there are still many ways you can join the fun. The work of the National Park Service extends beyond park boundaries into communities across the country. The National Park Service works with partners to help preserve local history and create close-to-home recreational opportunities that revitalize neighborhoods and enhance the quality of life. You can visit www.nps.gov/communities/states.htm to see how they help in your community. Earlier this week a 23-year-old record for the fastest self-supported thru-hike on the Appalachian Trail was broken. Matt Kirk, a 32-year-old schoolteacher from Western North Carolina (though he apparently resigned from that position in June) hiked the 2185.9 miles in 58 days, 9 hours and 38 minutes - an average of 37.4 miles per day! Matt began his trek from Mt. Katahdin in Maine on June 12th, and arrived at Springer Mountain in Georgia just before dusk on Wednesday, August 7th. The previous record, held by Ward Leonard of Concord, Massachusetts, set the record for the fastest self-supported thru-hike of the Appalachian Trail in 1990, when he hiked the trail in 60.5 days. 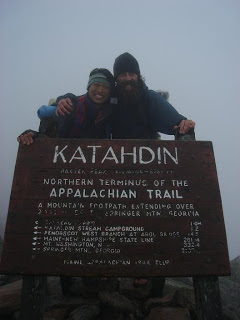 Jennifer Pharr Davis, who holds the record for the fastest supported hike (when she hiked the trail in 46.5 days in 2011), was at Springer Mountain when Matt completed his quest. She has an excellent write-up on her blog, which includes several photos. The photo on the right is from Matt's 2007 thru-hike. You can see more photos on his blog. Join Ranger Dustin Beaty to learn about the birth of the National Park Service and the establishment of the Big South Fork National River and Recreation Area. This program will be held at Bandy Creek Campsite number D 03 on August 17th at 7:30 p.m. (EDT). The program will last approximately 90 minutes. Children must be accompanied by an adult. Please bring a chair to sit around a campfire, sturdy shoes, a flashlight and insect repellent. In the event of rain or inclement weather, the evening program will be moved indoors to the Interpretation and Education Building next to the Bandy Creek Visitor Center. For more information please contact the Bandy Creek Visitor Center at (423) 286-7275. National Park Service Southeast Regional Director Stan Austin announced yesterday that Mark H. Woods has been selected as the next superintendent of the Blue Ridge Parkway. 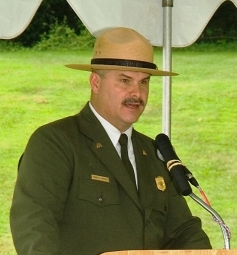 Woods has been the superintendent of Cumberland Gap National Historical Park since January 1997. He is scheduled to report to his new assignment in late September. "Mark brings a strong and consistent track record of quality leadership to the superintendent post at Blue Ridge Parkway," Austin said. "He understands the value of the Parkway as a member of the larger Blue Ridge community. His collaborative skills, operational experience, and commitment to park neighbors, the visiting public, and the Parkway's employees and partners, will serve the National Park Service and the Southeast Region well." Woods,53, is a career National Park Service employee who began his career in 1980 as a seasonal interpreter in South Carolina. In addition to his 16-year tenure as superintendent at Cumberland Gap National Historical Park, Woods served as superintendent at Guilford Courthouse National Military Park in Greensboro, N.C., and as acting superintendent at Virgin Islands National Park and the Natchez Trace Parkway, which spans Mississippi, Alabama and Tennessee. He has also served several times in the Southeast Regional Office - once as the Associate Regional Director for Natural/Cultural Resource Management and Partnerships, and twice as a Deputy Regional Director. Woods moved up through the National Park Service ranks as a park interpretive ranger,a resource management/law enforcement ranger, a chief ranger, and superintendent or several park units. His other assignments include parks such as Ninety Six National Historic Site in South Carolina, Kings Mountain National Military Park in South Carolina, Andrew Johnson National Historic Site in Tennessee, and Cumberland Island National Seashore in Georgia. His career also included employment with the South Carolina Department of Parks Recreation and Tourism. Woods was recognized with the National Park Service's Superintendent of the Year Award in 1997 for outstanding leadership in the field of resource management. In 2004 he received the National Park Service Sustained Park Accessibility Achievement Award, and in 2005 he received the "Take Pride in America" Federal Land Manager Award. Woods has extensive experience in gateway community planning, major facility design and construction, land acquisition planning, protection of viewsheds, wilderness management and general management planning. A native of South Carolina, Woods received a bachelor of science degree in sociology from Lander University in Greenwood, S.C. in 1982, and has completed studies at Texas A&M University, and the University of California at Davis. He and his wife Ginny have three children, Maggie, Mark II, and Grayson, and a granddaughter, Abbie. "I look forward to joining the staff and many partners of the Blue Ridge Parkway as stewards of this outstanding national treasure, and to make its history and beauty come alive for a new generation of Americans" Woods said. "The Parkway has dramatic stories that are only surpassed by its stunning beauty. It is an ever changing landscape that is simply awe-inspiring." The Blue Ridge Parkway announced the temporary closure of the access ramps to the Parkway at Virginia Route 250. During the week of August 19, 2013, each of the two access ramps will be closed at separate times to allow for repaving. Access to the Blue Ridge Parkway and Shenandoah National Park at Rockfish Gap will remain open during the work, with traffic re-routed to the open ramp. Each of the ramp closures is expected to last one day, and will occur during daylight hours. The work is part of an on-going construction project on the Parkway from Milepost 0 at Rockfish Gap to Milepost 15.6 at Love Gap. Blue Ridge Parkway managers and Federal Highway Administration engineers have made the decision to construct a temporary bypass route that will allow traffic through a heavily-used section of Parkway near Milepost 374. The area is currently closed as the result of significant structural damage to the motor road and related shoulder areas discovered earlier this summer. Construction of the temporary bypass route, in conjunction with the removal of unstable slope material, should be complete by the end of August allowing traffic to move through the area as soon as Labor Day. Once the bypass route is in place, it is anticipated the current detour (from Milepost 375 to Milepost 355) will be lifted and two-way traffic will resume through the area during the months of September and October. In November of 2013, the bypass route will close and the detour will be reinstated so that construction can resume to stabilize the slope and repair the area permanently. Until the temporary by-pass route is complete, the Parkway will remain closed to all visitors between Milepost 375 and Milepost 355. Mt. Mitchell State Park will remain open and accessible from the northern approach along the Blue Ridge Parkway from Milepost 330, at Spruce Pine, NC, or from state Route 80. Buses and large Recreational Vehicles are encouraged to use I-40 and U.S. 221 to the Parkway. As always, the public is encouraged to use the park's website, nps.gov/blri, to access road information and plan their visit. Multiple bear incidents have been reported at Beech Bottom in the Cohutta Wilderness. 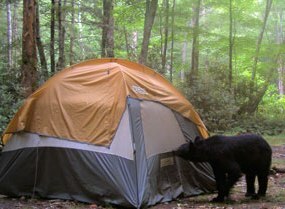 The bears are stealing backpacks, food containers, trash bags and entering tents. Chattahoochee-Oconee National Forest officials are asking backpackers to consider changing trip itineraries. Visitors to this day-use area should use every precaution and follow bear safety guidelines found at www.bebearaware.org, such as storing food in bear proof containers and/or hanging it from trees, carrying bear pepper spray, and setting up sleeping tents 100 feet away from food storage and cooking areas. Jacks River Falls remains closed to overnight camping from April to October. Next Thursday, August 15th, is the 19th annual Friends Across the Mountains Telethon. The event will be broadcast on WBIR-TV Channel 10 in Knoxville, TN and WLOS-TV Channel 13 in Asheville, NC from 7:00 PM - 8:00 PM. The broadcast will highlight projects and programs that Friends of the Smokies has funded over the years. It's a fun event that raises awareness of both the Park's needs (as the only major national park without an entrance fee) and the ways that Friends of the Smokies helps to fulfill some of those needs every year. The telethon raises roughly $200,000 each year. The Appalachian Trail Conservancy (ATC) is currently accepting submissions for the “I am the Appalachian Trail” Video Contest, a nationwide search for the best fan-made video about the Appalachian Trail (A.T.). The grand prize winner will have their video screened in movie theaters during the 2014 ATC Membership Drive. The video contest asks participants to answer the question: “How are you a part of the Appalachian Trail?” Contestants will submit video shorts, no longer than three minutes, emphasizing the many ways that they are connected to the Trail. Whether as a hiker, volunteer, teacher, artist, or simply someone who loves the Trail, the contest will explore how people are a part of the A.T. The creators of the top three videos with the most votes will each win a one year membership to the ATC and be featured in an issue of A.T. Journeys, the official magazine of the ATC. The grand prize winner will have their video featured in theaters during the 2014 ATC Membership Drive and shared with thousands of followers across ATC’s social media sites. The contest winner will also receive a custom ATC ENO hammock, courtesy of ENO™. The public will vote for their favorite video through ATC’s Facebook page. Submissions are being accepted until Sunday, September 15th, and voting will take place from Monday, September 16th to Friday, November 8th. The winners will be announced on Monday, November 11th. For the complete list of submission guidelines, rules, and regulations, please click here. To vote or submit a video, visit www.facebook.com/ATHike. The Great Smoky Mountains National Park is the most visited National Park in the country. As many as 10 million people visit the park every year to enjoy the scenic beauty and ample outdoor recreation opportunities. The sheer number of visitors combined with the sometimes rugged terrain and inherently risky nature of some activities keep the emergency response services that service the park busy year round. Their skill and professionalism saves countless lives every year and prevents accidents from becoming tragedies. Despite the level of skill they possess, fatalities still occur every year, along with needless accidents that could be avoided with simple preparation. If you plan on visiting the Great Smoky Mountains, then doing your part will make needing their services far less likely and ensure beautiful memories that last a lifetime. The Smoky Mountains cover all variety of terrain. Lack of being prepared for the area you are visiting is the most common cause of mishaps. Overconfidence in physical ability and underestimating the risks of particular areas are things that can be avoided. If you do not participate in hiking and physical activities on a regular basis, presuming you are in physical condition to hike a 7 mile inclined trail is just not wise. People that will wait 10 minutes for an elevator rather than take 3 flights of stairs should seriously consider if 5 hours of walking uphill, over rough terrain, is something they are prepared for, regardless of the reported view at the top. Aside from the all too common sprains and twisted ankles, heart attacks are possible when suddenly exerting yourself beyond your physical ability. Rapidly changing weather conditions and lack of communication ability can make rescue a tricky process. In addition to the actual physical injuries associated with over doing it and taking on too much is mental fatigue. When you become physically over tired you begin to make poor decisions. A stream crossing you would not consider when fresh as too dangerous or risky, suddenly seems more appealing than walking another ½ mile to a bridge or marked crossing point. This lack of judgment when tired leads to risk taking that is not worth it. Do not put yourself in a position to make poor decisions because of exhaustion. Be honest with yourself about your outdoor abilities. If you are not very competent with a map and compass, stick to marked trails. One of the greatest obstacles to getting timely help if an emergency occurs is in Emergency Services being able to find you. If you do not have a topographical map of the area you are going to be in, or if you do not know how to read it and get grid coordinates from it, then you really should never venture from marked trails. You may be able to see the destination at what appears a short distance away across a valley from a ridge trail, but once you step into the forest you will no longer be able to see it. Distances are very deceiving in huge expanses like the Smoky Mountains. The trail probably goes the way it does for a very good reason. If you cannot tell rescue services where you are, or if a member of your party needs to leave to get help with an ankle, and then must try to return without a specific location and not on a trail, rescue will take some time in arriving. Be prepared with signal devices, water, basic first aid kit, and clothing for the elements and conditions. Night Gear outdoor equipment has examples to consider. Planning to avoid dangerous situations, as well as preparing for an emergency, should it occur, will make your trip less stressful and prevent the Rescue Units from proving themselves needlessly. 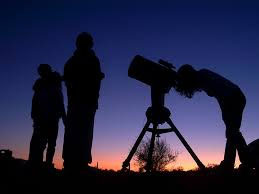 Paul Lewis from the University of Tennessee and the Big South Fork astronomy volunteers will be at Big South Fork National River and Recreation Area on August 10th for an evening star-gazing program. On Saturday night at 9:30 p.m. (Eastern Time), Paul Lewis will describe which objects to look for in the night sky of August. This program will be held in the parking lot across from the Bandy Creek Visitor Center. Telescopes will be available for night sky observation after the presentation. You may want to bring a blanket or chair for comfortable seating. There is no charge to attend these programs. In the event of rain or inclement weather, the evening program will be moved indoors to the Interpretation and Education Building next to the Bandy Creek Visitor Center and night sky observation with the telescopes will be cancelled.